Resident Street fosters personal vision, investigation, and experimentation for an established Australasian director/ animateur/ performance-maker. The Street residency is for established artists who have achieved recognition for their artistic work in the performing arts. The residency provides artists with: time; a dedicated development space, accommodation, access to other artists; and a cash allowance for creative projects where practice is reliant on the input and practice of other individuals. The residency is intended to foster personal vision and nurture experimentation by offering a unique opportunity for practical and theoretical investigation in the reflective and intellectually stimulating environment that the city of Canberra provides. Canberra is an ‘ideas’ place where scholarly thinking is prized so work that emphasizes the interaction of art and science, politics, economics, or culture will be prioritised. There is the opportunity to employ ACT-based artists through the program with their fees covered by The Street. Resident artists make a significant contribution to the cultural life of The Street and the creative dialogue with our community and the city in which we are located. It is part of the Resident Artist role to engage with ACT artists in relation to their own practice, present a public event and contribute to The Street’s social media platforms. In 2010 Sonia Anfiloff completed a Masters of Music at ANU where she was the recipient of the Kornfeld Scholarship. That year she performed the role of Dido. Anfiloff’s Canberra performances have included: Sly in the ANU School of Music world premiere of Grimm and the Blue Crown Owl, written by Josh McHugh, and Minna in Rautavaara’s Gift of the Magi for the Canberra International Music Festival. Recipient of ANU’s Harmony Endowment scholarship, Ben Connor moved to Vienna in 2010 after graduating and has performed in roles including Figaro (The Barber of Seville), Marcello (La Bohème), Falke (Die Fledermaus), Billy Bigelow (Carousel), Anthony (Sweeney Todd) and Freddy (My Fair Lady). Outside of his engagements at Viennese opera houses he has performed in Australia, Austria, Estonia, Poland, Germany and the Netherlands. In 2016 writer/director/performance maker Sarah Carradine will be in residence developing and investigating her new performance work Dark White. 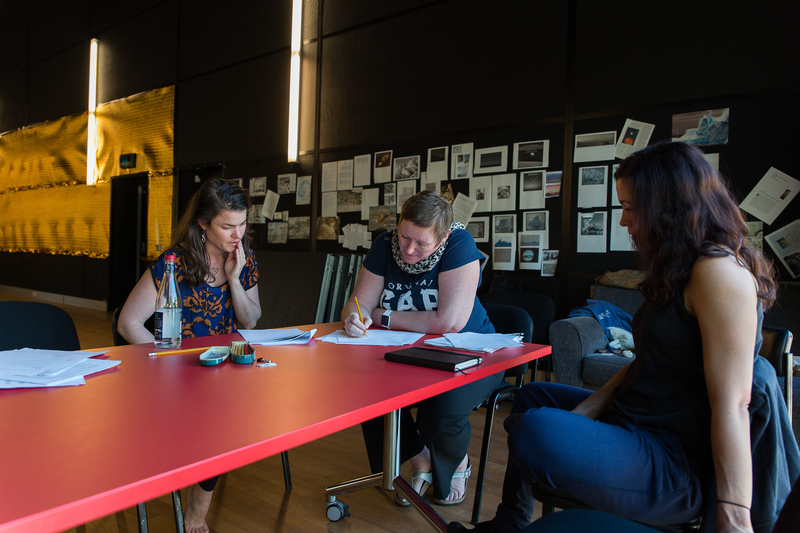 In undertaking this residence Sarah will work with ACT-based actors Isha Menon, Dianna Nixon, Anna Riddel, Heidi Silberman, and Nicky Tyndale-Biscoe and mentor director Sophie Benassi. Dark White is inspired by women’s experiences in Antartica, a whole continent from which women were excluded until the mid-20th century. The piece deals with our drive to exploration, our isolation and the ultimate connectedness of our species. We accompany those drawn to the vastness, those left behind in the vastness of waiting, and those who inhabit an Antartic of their own making. Sarah Carradine is a director and writer, with works ranging from dirty underground cabaret to the stage of the Sydney Opera House. Her production of Romeo et Juliette for Opera Australia toured Sydney, Melbourne, Adelaide, and Perth. 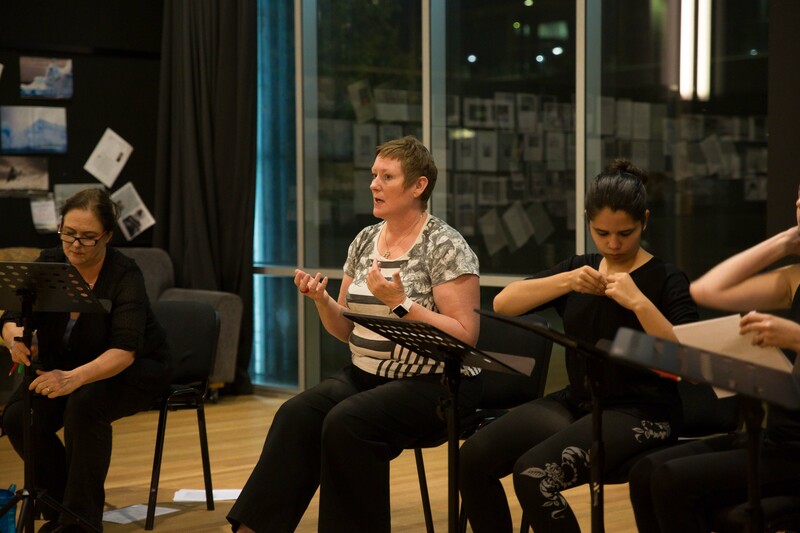 She wrote and directed the chamber opera The Cockatoos, commissioned by Victorian Opera, which was nominated for an Australian Writers Guild Award. Her plays Barb and Richard were recently produced in Sydney. In 2015, she was Artist in Residence at Cascade Gorge in Launceston, working on her play Still Afraid of Water, which is in development with Blue Cow Theatre. She wrote and directed Perch, which had seasons in Cambridge, at United Solo Festival Off-Broadway, and in Sydney at Belvoir St downstairs. She has worked throughout Australia, as well as in London, Edinburgh, New York, Christchurch, Portland and Boston.